URL http://i.imgur.com/9BXQu.jpg is present in 'User Compartments' and 'Ghost Windows' fields. If you disable Enter Selects 7 in the add-on manager (it's restarless), the zombie compartment and the ghost window go away immediately. The issue is present only in FF13 and FF14. Doing the STR without installing the add-on results in ghost windows for me. > Doing the STR without installing the add-on results in ghost windows for me. But it's interesting that enter-selects somehow interacts with this. It's possible that simply disabling a restartless add-on nukes the background-image leak. Is there anything that can/should be done for the add-on here? Or is this just a dupe of bug 734210? As I said previoulsy, I wasn't able to reproduce bug 734210 with the STR given, but only if Enter Selects 7 was enabled. That's why I created this bug, by thinking it was an add-on memory leak. So maybe you can let it open and we'll check if it's still reproducible when bug 734210 will be fixed. I tested with a fresh Nightly (Mozilla/5.0 (Windows NT 6.1; WOW64; rv:15.0) Gecko/20120426 Firefox/15.0a1) and I'm not able to reproduce the zombie compartment with Enter Selects 7. I think it's due to bug 695480. > compartment with Enter Selects 7. > I think it's due to bug 695480. I'm going to reopen this. Firefox 15 will be the first release that has the patch from bug 695480 in it (assuming it doesn't get backed out for some reason). Firefox 15 won't be released until 2012-08-28, four months from now. That's plenty of time for leaky add-ons to be fixed or downgraded (and also to degrade users' experience of Firefox). 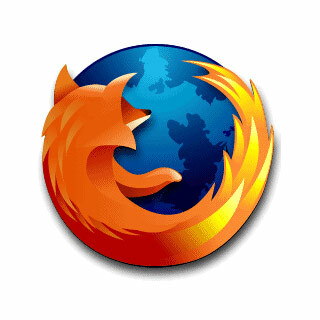 Once Firefox 15 is out we can close the bugs for any leaky add-ons that bug 695480 fixes. This means that we can't use Nightly builds to look for add-on leaks in the meantime, which is annoying, but seems unavoidable. > also to degrade users' experience of Firefox). I just confirmed this. I'd still like to keep this open, as per comment 8.